Experience 1867! At Black Creek Pioneer Village, discover 40 historic buildings, 70 rare and heritage breed animals, 10 gardens growing flowers and plants from heirloom seeds, and one-of-a-kind educational programs. Meet costumed educators ready to engage students with interactive programs that foster exploration and inspire curiosity. All programs are cross-curricular, support the Ontario curriculum for specific grades, and encourage students to examine our world from multiple perspectives. 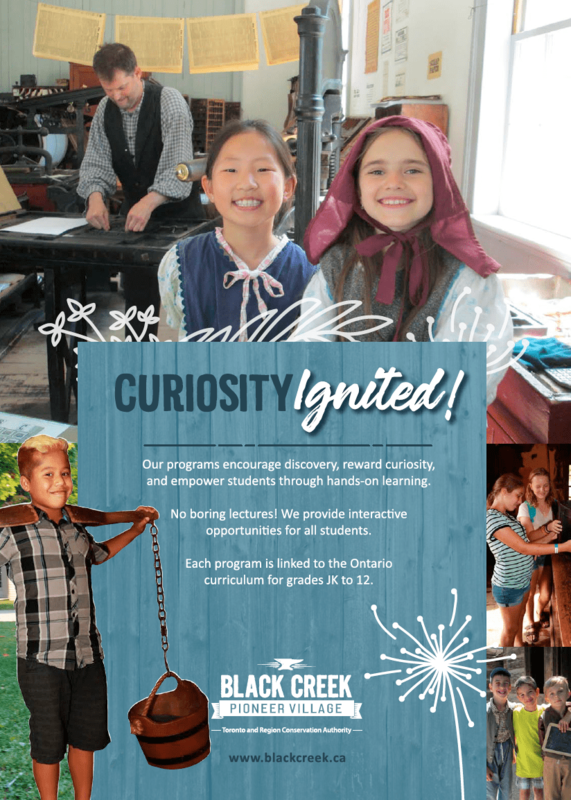 Bring your class to Black Creek Pioneer Village and make memories they’ll never forget!